MyRetailer 360 iPad POS provides a more flexible and intuitive front-end process with the same powerful backend management. This POS system is designed to increase front-liner productivity with a more efficient graphical user interface in a smaller table top setup. 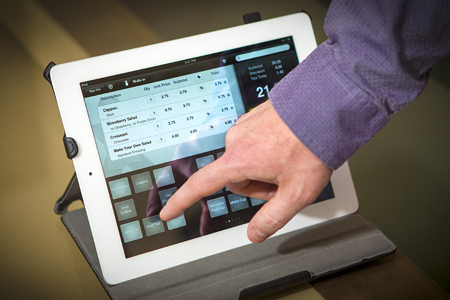 It accept payments and power your business in one easy-to-use iPad app. A simple-to-use iPad POS app with features robust enough to suit any business. It is fast, clean, and natively developed for iOS. Connect with hardware including drawers, receipt printers, and scanners. Your POS keeps working when your internet connection fails. You can keep making sales until connectivity is restored. Run inventory reports. Report by product type, date and tag. Export Excel data for sharing or importing into your accounting or ERP systems. Access your sales and inventory information anytime and anywhere. Cloud-based and available from anywhere.